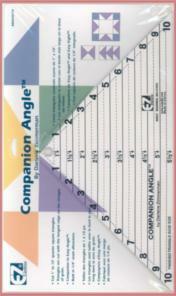 Companion Angle (TM) Ruler - 882670139. Companion to Easy Angle (TM). Triangles are cut with the longest edge on the straight of grain. 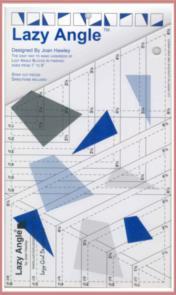 Cut 1" to 10" quarter square triangles. Lazy Angle (TM) Ruler R3754. The easy way to make hundereds of Lazy Angle (TM) blocks in finished sizes from 1" to 6". 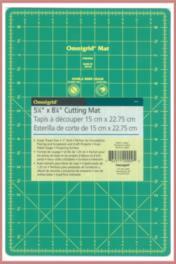 Omnigrid (R) Cutting Mat 5-7/8" x 8-7/8" - 9WG -- Great Travel size with 1/2" grid. Perfect for foundation piecing.